Once again Beyonce let her talent speak for her. The large crowd gathered at the Sunday’s game held at the Mercedes-Benz Superdome erupt when Beyonce’s Destiny’s Child band mates, Kelly Rowland and Michelle Williams, joined her on stage. 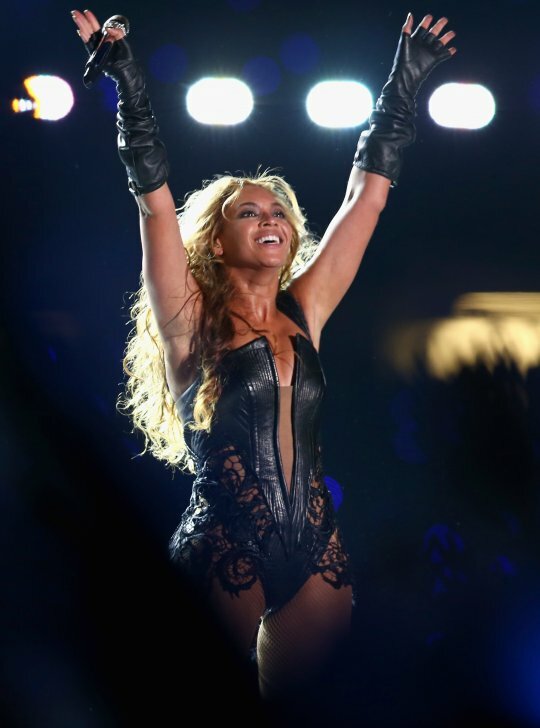 Beyonce closed out her performance with her smash hit single “Halo” before the power in the stadium went out. “Lights Out!!! Any questions? ?” Jay-Z tweeted. Beyonce also announced her upcoming “Mrs. Carter World Tour” at the Super Bowl. The tour starts on April 15 in Europe. 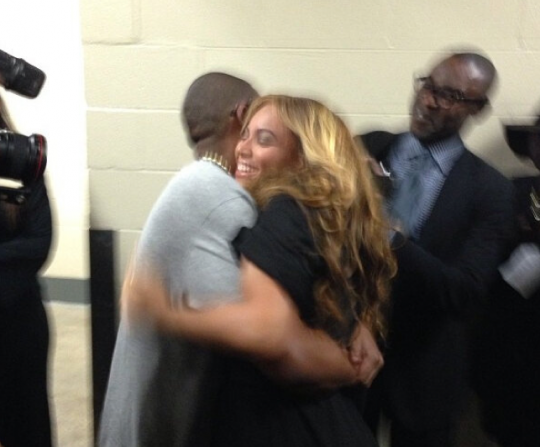 After her show stopping performance, Beyonce was spotted backstage getting a huge hug from husband Jay-Z. 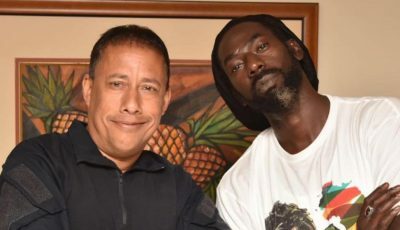 Jigga a di luckiest man in the world.